James A. 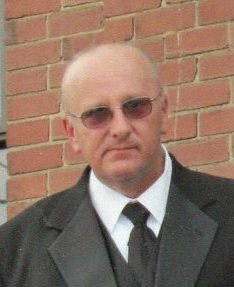 (Jim) Lewis, 58 of Brookville, passed away peacefully on Saturday, February 2, 2019. Jim was born November 18, 1960 in Brookville, the son of the late James Lewis and Mabel Lewis, she survives in Summerville. On June 25, 1982 he married the former Christine Shepler and she survives. He was employed at Stella-Jones Corporation in DuBois, PA as a machine operator. He enjoyed hunting, fishing, playing cards, spending time in his garage, and riding his 4 wheeler. Most of all he enjoyed spending time with his grandson Easton. Jim was a member of the Brookville FOE 983 and the NRA. In addition to his wife, he is survived by his two daughters; April Lindemuth and her husband, Chris of Hazen, Jessica Strini and her husband Pete of Falls Creek, his grandson, Easton Lindemuth; two sisters, Sandy Powell and companion Randy Gray of Brookville, and Patty Flack and husband Mike of Summerville; a brother, Timmy Lewis and wife Deb of Meadville; three nephews, Fred Powell and wife Dawn of Delaware, Brock Powell, and Keith Shumaker; and one niece Kayla Shumaker. In addition to his father, Jim was preceded in death by his brother-in-law, Fred Powell. Arrangements have been entrusted to the Furlong Funeral Home, 50 Broad Street, Summerville, PA. Per his wishes there will be no services. A memorial party will be held in July.